Editor’s Note: This is the fifth article in a series by Richard Naiberg where he discusses how cannabis businesses can protect their intellectual property in Canada. Part 1 introduced the topic and examined the use of trade secrets in business and Part 2 went into how business owners can protect new technologies and inventions through applying for patents. Part 3 raised the issue of plant breeders’ rights and Part 4 discussed trademarks and protecting brand identity. Part 5, below, will detail copyright laws for cannabis companies and how they can protect works of creative expression. In the course of describing and marketing its products, the cannabis producer will prepare or have prepared any number of articles, instructions, write-ups, photographs, videos, drawings, web site designs, packaging, labeling and the like. Copyright protects all such literary and artistic works from being copied by another. Copyright arises upon the creation of the work, although one can register the copyright under the Copyright Act for a minimal cost.Canada’s Copyright Act provides that the owner of copyright has the exclusive right to make copies of copyrighted work for the lifetime of its author, and for fifty years thereafter. The Court will enforce this copyright, stopping infringements and ordering infringers to compensate the owner in damages, accountings of profits and delivery up of infringing material for destruction. Intentional copying or renting out of a copyrighted work is also an offence that can attract imprisonment. The owner of a copyright can also request the seizure of infringing articles being imported or exported in Canada. Copyright arises upon the creation of the work, although one can register the copyright under the Copyright Act for a minimal cost. Registration creates a presumption that copyright subsists in the work and that the registrant is the owner, presumptions that can simplify copyright proceedings. In litigation, the fact of registration also removes the ability of a defendant to argue that it did not have notice of the copyright, a factor relevant to the Court in awarding a remedy.Copyright protects all such literary and artistic works from being copied by another. There are two aspects of copyright law that tend to cause confusion. The first involves the distinction between the right to use a copyrighted article and the copyright itself. To illustrate, consider the sale of a literary work, such as a book. The purchaser acquires the physical book but not the copyright. The purchaser can use the physical book and can sell that book to another. What the purchaser may not do is make and sell another copy of the book. Making copies is the exclusive right of the copyright holder. The second involves the ownership of a commissioned work. The first owner of a copyright is either the author of the work or the employer of the author if the author creates the work in the course of his or her employment. Ownership of copyright can only be transferred by written assignment. Further, the author of a work is granted moral rights in the work, meaning the right to be associated with the work and the right to its integrity. These rights can be waived by the author but not assigned. Ownership of copyright can only be transferred by written assignment.Therefore, if a company hires a third party supplier to prepare copyrightable work, such as brochures, artwork or web sites, and does not secure an assignment of the copyright and wavier of the author’s moral rights as part of the transaction, that supplier will own the copyright in the resulting work and the author of that work will have the right to insist on his or her moral rights. The hiring company will not have the right to make or authorize others to make copies of the work, to amend the work, to derive new works from what was delivered, or to use the work without reference to the name of the author or in a way so as to offend the author’s integrity. The supplier will also be free to sell the same brochures, artwork or web sites to other companies, or to derive other works from it. All of this is so even though the hiring company paid for the work to be done. This result is often surprising and disappointing to hiring companies. Accordingly, cannabis producers contracting with the third parties for literature, photographs, web sites and the like will need to think about how they want to use the work in the future. It is simplest if the producer contracts to have the owner assign the copyright in the work to the producer upon creation, and deliver the author’s waiver of moral rights. While the third party will likely charge more for an assignment of the copyright and the waiver of moral rights, it may be worth avoiding negotiations over specific uses and how the author is to be credited, as well as avoiding the uncertainty inherent in trying to imagine how the producer will use the material in the future. 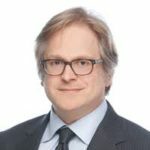 In the 6th and final part, Naiberg will summarize the key takeaways from his series that cannabis companies can use to protect their intellectual property in Canada.